To download the game, click here! 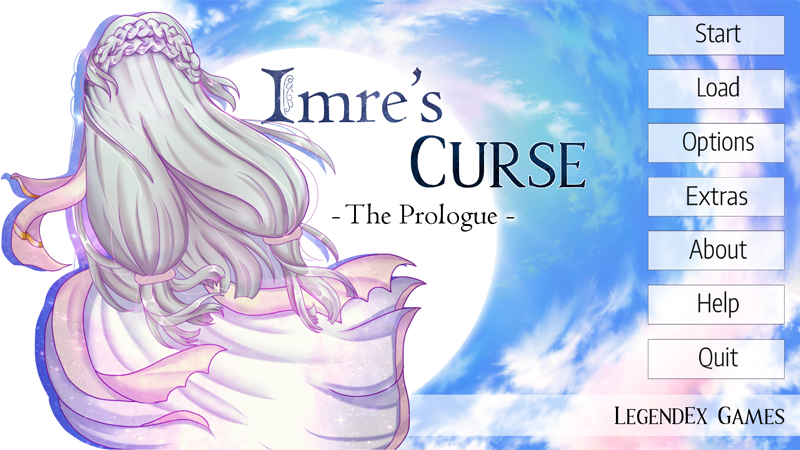 Imre's Curse: The Prologue is a short kinetic novel about power, integrity, responsibility and love. There once was a time when gods and humans lived together as one. That peace was shattered long long ago. Now the gods and goddesses find themselves inhabiting the planet of Sanctum, while the humans are scattered across various planets.The two, never coming into contact with each other. On Sanctum, the young gods and goddesses are tasked with helping their society function by being placed in a mundane job fit to their talents. Bored of this century old monotony, Imre wants nothing more than to be a caretaker of one of the worlds orbiting around Sanctum. Surely, humans are not as bad as her father, King of all gods, would have her think. Right? Follow Imre through a tale of self discovery, friendship, love, political intrigue and much more. Imre: Imre is the protagonist and player character. She is the daughter of the god in charge of Sanctum. She's reckless, putting her heart above her mind in almost all cases. This can sometimes be a problem for the people of Sanctum, but you'll never find someone who loves as hard as she does. Einar: Einar is Imre's childhood best friend. They are two peas in a pod, finishing each other's sentences (and each other's food!). Together, they're tasked with caring for a world. Him being the rational, calm and collected of the two and her being the bold and the brave. To both of them, this sounds like a sweet deal. But, is it really? Deren: Deren is a young human prince trying to find his place in his world. When he comes across Imre, his world turns upside down. Aenaris: Aenaris is a young princess of a neighboring town, arranged to marry Prince Deren. But with Imre involved, things may not go as planned. Your team did a pretty good job on this, especially considering it was finished within the NaNoRenO time constraints. The art was beautiful, and I thought that the story and worldbuilding were super interesting. Imre was a great protagonist, and I loved her relationship with Einar. There were some spelling/grammar errors throughout the text, but those didn't bother me that much - the bigger problem, in my opinion, was that I didn't find myself liking Deren all that much, and I felt like the relationship between him and Imre progressed too quickly and felt somewhat unnatural. Deren came off as unnecessarily flirty when talking to Imre in the beginning; given his character and his history with love, it would have made more sense to me that he would have been hesitatant to admit his attraction to Imre. Rather, I feel that his initial reason for helping her should have been solely out of a sense of duty, and only after he came to get to know her should he have admitted to having feelings for her. Regardless of my qualms, I was impressed with the overall quality of the VN. I thought the ending, though maybe a bit long-winded, was very powerful, and I wasn't expecting a move as bold as the death of the game's protagonist, so props to you guys for that. The character of the father was also super well written, in my opinion, as a well-intentioned but ultimately very destructive antagonist. I was interested in how often Imre's mother was brought up despite never seeing her, and I hope that in the next installment we are able to meet her as well as Imre's human father. I'll be looking forward to the next installment of this series. We really appreciate the feedback. Thanks for playing our game! 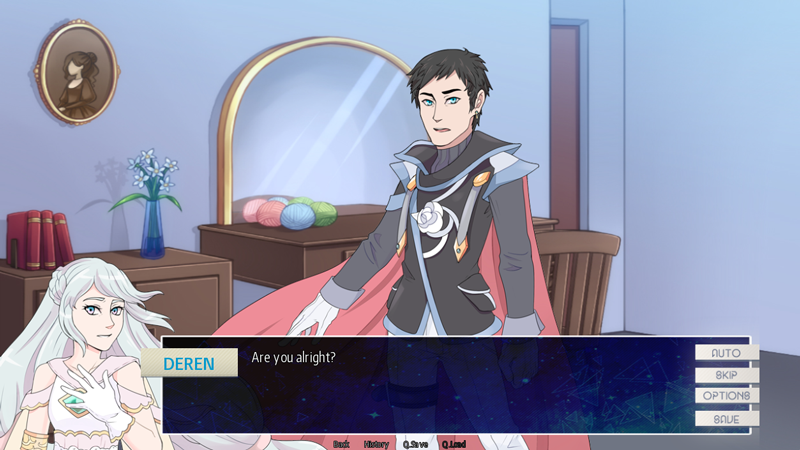 I think Imre's relationship with Deren was the hardest thing to achieve in the allotted one month time frame.But in the full version of the game, the characters will be more fleshed out. I am taking note of all your comments for our future releases in this series, so thanks again! Just finished going through this story on my mac . . . very interesting and very well done. It's a good story, and nice to look at too! Will look forward to more.